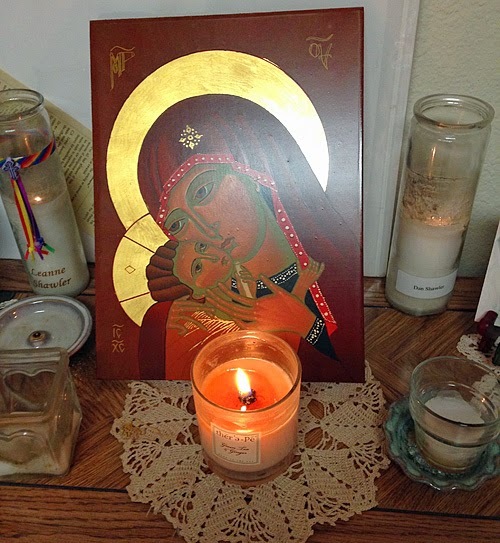 This morning I lit candles, having added some to my home altar space, quietly chanting in my mind and settled down to the day's lectio divina, which took about 15 minutes. On the 2nd, the Scripture selection was 1 Thessalonians 1:4 and the phrase that resonated was "please God". Not to gain favor with God, but as a response to God. 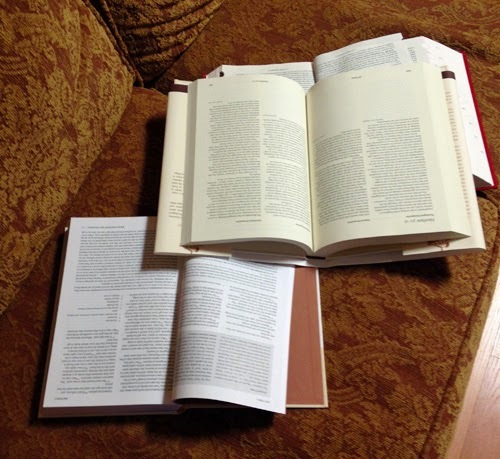 Lectio completed, I set a timer and pulled out Feasting on the Word and the Jewish Annotated New Testament, thinking to write a belated "blogging the lectionary" post. Maybe tomorrow. I've asked for some Hebrew assistance, so I'll get back to you on that. Maybe. The effect of pinning God first thing resonated throughout my morning yesterday. I felt unrushed as I headed off to work and during the work morning. Unrushed, calm. Probably annoyingly so. It lasted until mid-afternoon which surprised me. I had hopes that restorative effect kept happening, but this morning, I got sidetracked into a work-stress (technically trying to apply the phrase "I came not to judge the world but to save the world" from John 14:42-50 to my life) and then I needed to email something this morning and got caught up in more anxiety via email. Maybe that peaceful feeling came from not reading my email as opposed to soaking in and studying Scripture. Hmm.